Have you noticed the common denominator with dictators, terrorists and all who hate freedom? They all hate Israel and the Jews. We have discussed the great division of “sheep and goat” nations, and it always comes down to their stance regarding Israel. Don’t you think it is strange that Muslims who hate democracy and freedom seem to be allied with the radical left-wing Marxists and anarchists like Antifa? The “resistance” mantra of the new left in the Democrat Party (see Women’s March) is laced with anti-Semitism. It would appear that we have reached that point in prophetic history where demons of hell are released on the earth. When Yehovah God first spoke His promise to Abram, it was regarding the one nation of Israel that would, in turn, bless all the families of the earth. “I will bless those who bless you, and I will curse him who curses you.” Genesis 12:3 Think of it in a more practical way. If you need finances, pray for Israel’s finances. If you need healing, pray for Israel’s healing. If you need protection, pray for Israel’s protection. If you need peace, pray for the peace of Jerusalem. Do you see my point? Let’s start with the heart. God loves Israel and we are in a new day prophetically regarding Israel as a nation. Later I will explain more about the Holocaust, but three years after that horrific event, God turned a page of history from judging Israel to blessing, favoring and restoring Israel. Understanding why He did this is to understand His love for Zion. Most people, even Christians, don’t have a clue about Zion. It has been obscured and maligned. Yet, Zion is a key to grasping God’s choice of Israel. A hundred years ago, the word Zion was a positive word sung in many of our hymns, like: “We’re marching to Zion, beautiful, beautiful Zion; we’re marching upward to Zion, the beautiful city of God.” They named churches, schools, towns, and even a national park after Zion, but not so much anymore. The meaning of the word has been sullied and made into a curse word. Anti-Israel propaganda has changed the public perception of the word. No wonder, when it is now used like this: Dirty Zionist, Zionist pigs, Zionist apes, Zionist liars, Zionist occupiers, imperialist Zionists, and racist Zionists. Whew! With this avalanche of epithets, no wonder the average person is confused. Even within Israel there is confusion. In the 2015 election two liberal parties joined together with a new name: The Zionist Camp. The problem is that they were the party in favor of dividing the land and giving it to Palestinians. A true Zionist knows the land cannot be divided. What a shame that they twisted the meaning of Zionist to gain votes. Fortunately, the Israeli people were not fooled and the real Zionists won in a landslide. We really need to know God’s definition. Jews and Christians will inevitably be united as one people and one nation. It will take a miracle! Christian Zionists and Jewish Zionists working together is a great first step. But we have a long way to go, and only God can do it. Our part is to yield, leaning in to His lead. We will have to follow Him. Our sensitivity to His Holy Spirit voice may have life or death consequences. The secret to the miracle is more than Jews and Christians working together for Zion. It is Yehovah God as the third strand of cord woven together. All three in unity makes a winning combination. On a physical level, I see more land for Israel as the result of the Arab Spring described in Isaiah 19. The same is true for the Psalm 83 War. Both events, probably concurrent, will mean that Israel will need more immigrants. Many of those may eventually be Christian Zionists invited by Israel. Spiritually and relationally, a great affinity is already forming between many Jews and Christians. 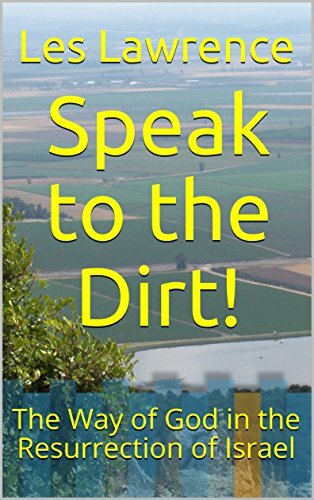 On two separate occasions I heard Israeli Jews say that they “love God, believe in the Messiah, and when He comes they will look at His hands and feet. And then we will rejoice together!” That is an amazing confession. Christians will have to give up replacement theology and Jews will accept Yeshua as Messiah. Jews will not become culturally gentile-ized, or Christian-ized out of their Judaism, but recognize that Yeshua simply fulfills all of the prophecies about the Messiah. Of course the convincing occurs in their relational interaction with Jesus, one on one. That is God’s part. The institutional church is plunging into apostasy, rejecting the Bible as literal and embracing immorality. We are fast approaching the moment when true believers are seeing the importance of Christian Zionism. 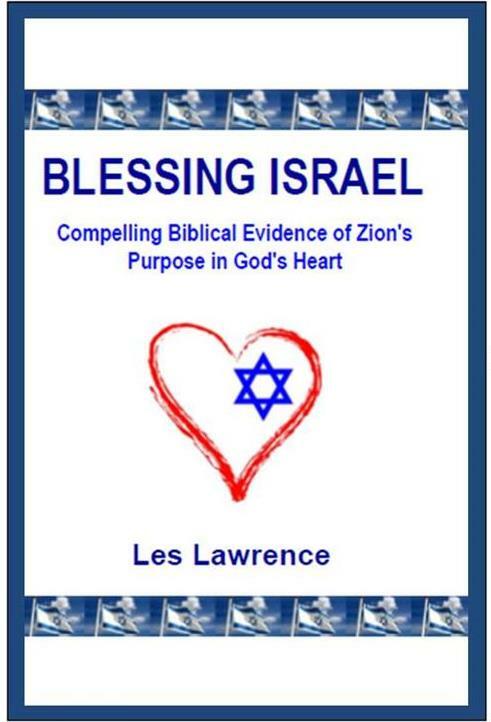 I have just received my newest book, Blessing Israel, from the publisher, which is on this very subject. The key text for the book is this classic from Genesis. Doreen and I had a wonderful experience in July with 6,000 other Zionists at the Christians United For Israel Summit in Washington, DC. CUFI now has over 2.2 million members. I continue to speak wherever I have an open door, encouraging Christians to recognize their roots in Zion, the heart of God. This Christian Zionist phenomena is also rising in other nations. Check out this story from the UK. Blessing Israel is available for a suggested donation of $15.00. For orders of 10 or more they will be $10.00 each. Here is the Table of Contents. Chapter 5 – Was Jesus Wrong? 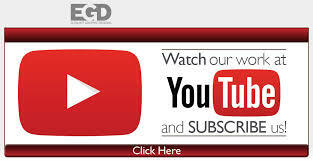 Epilogue: The Good, the Bad, and the Beautiful!